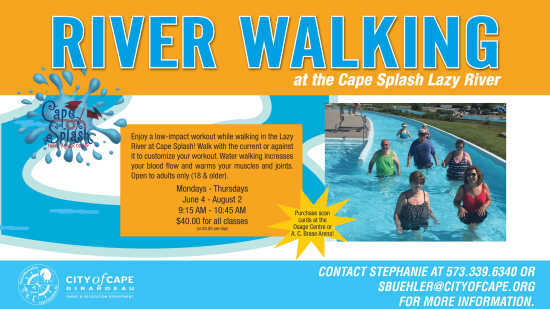 Get your River Walking Pass before the season starts! Stop by the A.C. Brase Arena or Osage Centre offices Monday - Friday between 8 a.m. - 5 p.m. to purchase your season River Walking Pass. Monday - Thursday June 4 - August 2 from 9:15 a.m. - 10:45 a.m.